It’s been 10 years since the defeat of Emperor Z, and the ToQgers have all grown up. However during one of their regular meet ups the Shadow Line returns, under the new leadership of Grand Duke Hei. As if being unable to transform (due to a lack of imagination that comes with age) was not enough, the former heroes are then swept back in time by a mysterious force. 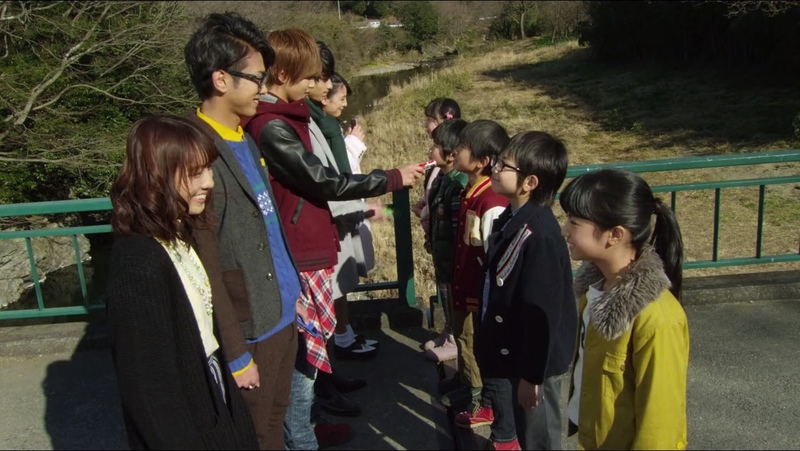 They arrive in 2016, where their younger selves are preparing to graduate from both school and being ToQgers. 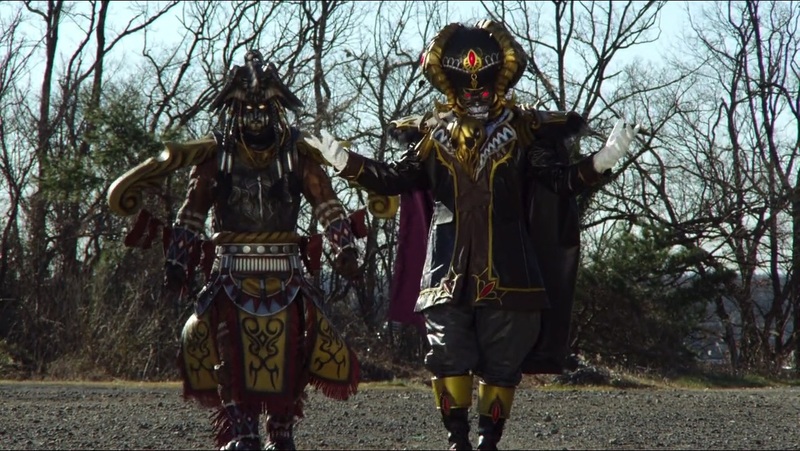 However Grand Duke Hei appears in this time as well, along with a new Shadow monster that has close ties to Akira. Just what are Hei’s plans for Akira? And who is the mysterious ToQ #7? The two sets of ToQgers team up as the future versions attempt to recapture their imagination. 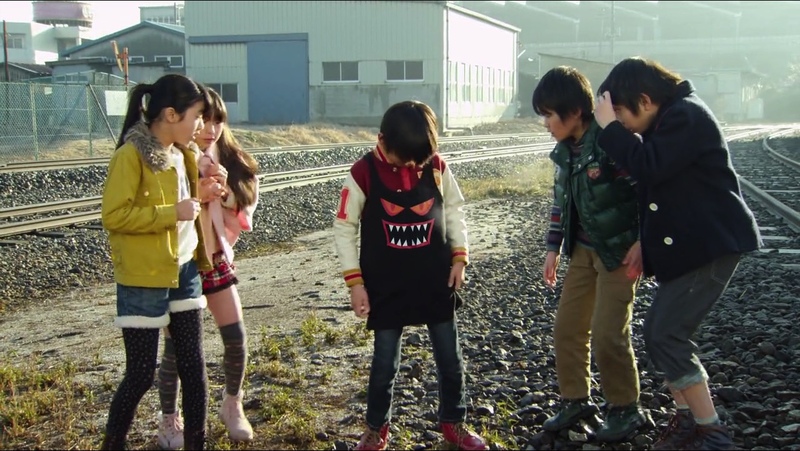 If there was one element in ToQger that took a lot of fans by surprise it was just how great the child acting was. While there wasn't a whole lot of (and suit footage was completely relegated to the Vs. Kyoryuger crossover) each of the children were incredibly endearing and it was a shame that we didn't get to see more of them. Since doing so would have to come at the expense of the adult actors, this V-cinema provides the perfect compromise by creating a scenario where both groups can be around at once. With only an hour at its disposal the time is spread a little thinly between the two groups, but it's still enough to present both groups in a new and interesting way. 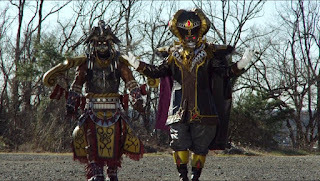 Despite kicking things off with the adult versions of the ToQgers, the bulk of the story still belongs to the children with the adults acting as spectators of sorts. This is good because it provides a great opportunity to see the children lead the story rather than just be a gimmick of sorts, while the regular actors get to play adults for the first time. This is something that's mainly got across visually (Kagura's outfit particularly stuck out to me), but there are little subtleties in their performances that separate them from the show versions. The time travel plot line takes a bit too long to start making sense and then opens itself up to a whole bunch of different questions (there aren't exactly a lot of rules for time travel here, but I can respect that), but it's the only way to really get both casts side by side and because of that it serves its purpose. 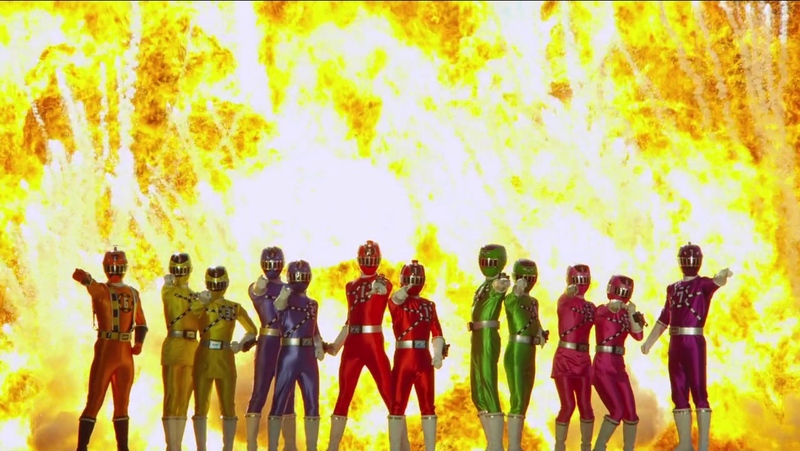 And it's all worth it for that glorious moment where all twelve ToQgers come together for that final roll call. The best moment of the film is saved for the very end, building up to that feel good moment where the adult ToQgers have regained their imaginations and can take back the powers. 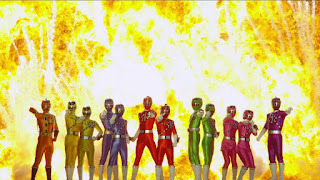 With the theme song blasting over the following battle for that one last time, its a reminder that ToQger's charm often didn't come from grandiose moments but from the raw energy of youth, fun and that all important imagination. Meanwhile how Akira fits into the story skirts the line of just how ridiculous ToQger can get without falling flat on it's face. The revelation that Akira's tank top is in fact a Shadow - appropriately named Tank Top Shadow no less, that has been travelling with him (and protecting him as 'his armour') the entire time comes as a bit of a stretch this late in the game, as does Hei's constant proclamations that Zaram was one of the Shadow Line's greatest warriors. Sure General Schwarz obviously had enough respect for Zaram to consider him a valuable ally, but after seeing so much it sounds more like a case of him just being the best that's left. That said, Akira's story is exactly where all the emotion in ToQger Returns lies. Not especially on the Akira/Tank Top Shadow side of things (though that does have its moments), but at the very end of the film where everything starts to click together. Akira is a pretty notable character in terms of Super Sentai history as it is, but this shows it goes beyond just the 'firsts' he's managed to bring to the franchise. Finally there's the matter of ToQ #7, who should be a pretty important part of the film considering it's titled Super ToQ #7 of Dreams right? Wrong. Neither ToQ #7's two fleeting appearances (seriously, he's in the film for all for five minutes) or his identity tie into the film in any particularly meaningful way. If anything it comes across as another bit of the show's style of humour rather than this really big moment where there's finally a literal rainbow of ToQgers. Admittedly the new suits in Go-Busters vs. Go-Busters were handled in a similar way, but the difference is that that film was already one massive parody. ToQger Returns on the other hand is just business as usual for Ressha Sentai ToQger. ToQger Returns: The Super ToQ #7 of Dreams is a perfectly enjoyable epilogue to Ressha Sentai ToQger, but after the last few years of excellent Returns movie it also feels like a bit of a let down. 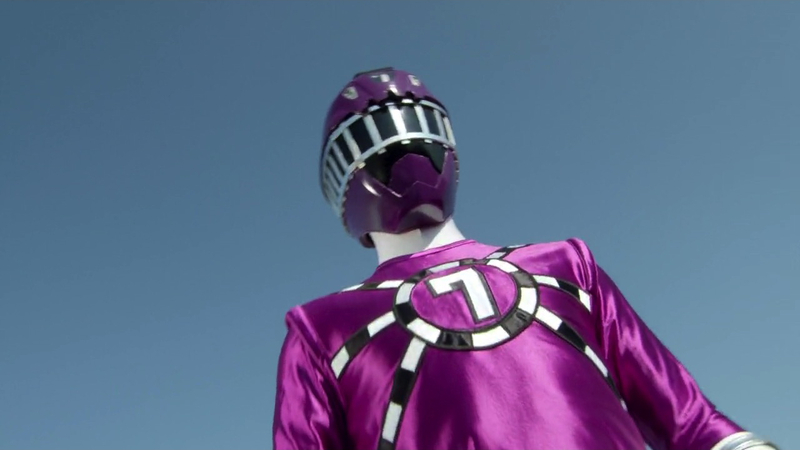 Not enough is done with the idea of having two versions of the ToQgers in one place, the new villain is forgettable and ToQ #7 himself is barely worth mentioning. However if you were a fan of the series, this film will serve to remind you exactly why the show was so great - the characters. 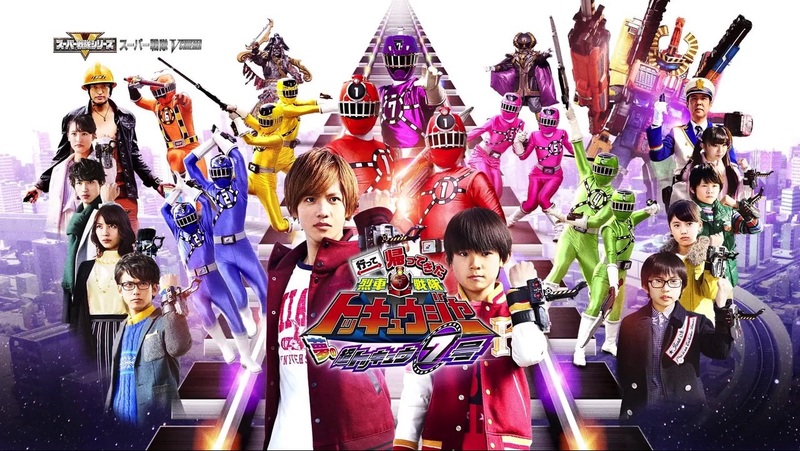 The child ToQgers are all a pleasure to watch once more (and I hope to see them continue to grow as actors and perhaps one day make a return to tokusatsu in a proper starring role) while the adults get to tease a more mature side to each of them. Akira's story in the movie might be a little too silly at times, but his inclusion also brings all of the emotion. When it all comes together for that brilliant final scene, all of the disappointment doesn't necessarily seem that bad and you'll just be happy that the ToQgers are back one last time. (Except it isn't, because there'll inevitably be Shuriken Sentai Ninninger vs ToQger early next year).